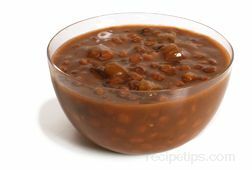 A type of dried bean soup that provides an earthy and somewhat savory flavor through the use of cooked lentils. 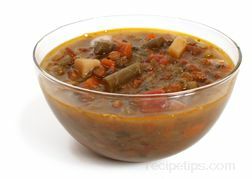 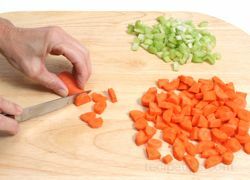 Some of the typical ingredients added into a Lentil Vegetable Soup may include green beans, lentils, carrots, celery, tomatoes, spinach, potatoes, garlic, and various seasonings. 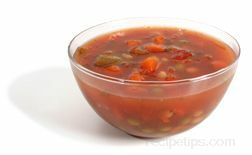 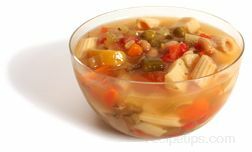 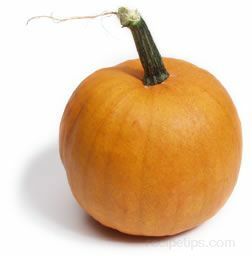 The soup is made from a water base and as it cooks, a thick sauce-like consistency develops that enhances the flavors of all other ingredients.